TOP OF THE CHARTS: Asia's biggest economy the most advanced digital market for luxury advertising, according to latest Zenith study. 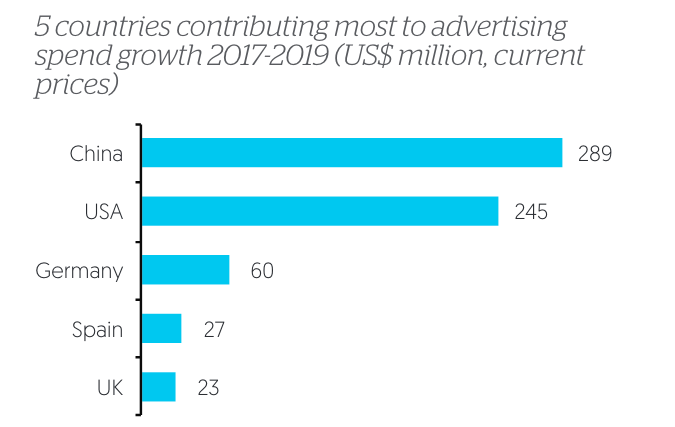 Digital advertising is by far the biggest growth sector for advertisers in the luxury sector, with China found to be the most advanced market of them all. 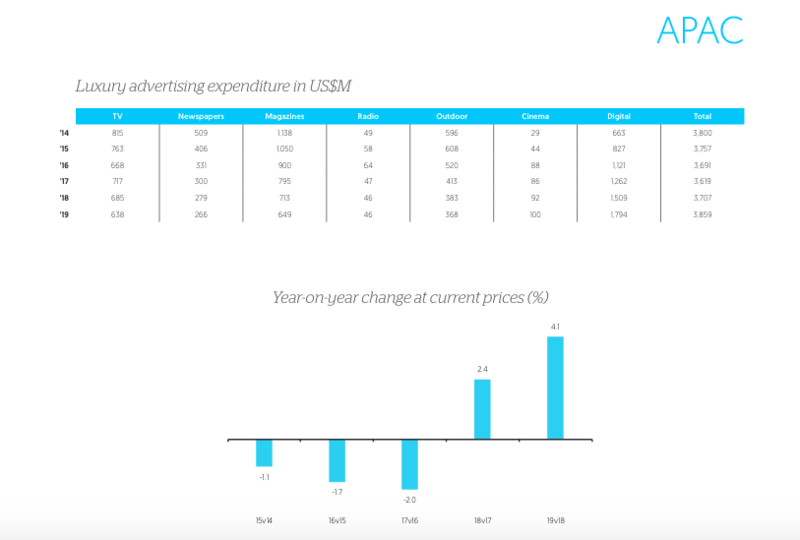 The findings, published today in Zenith’s Luxury Advertising Expenditure Forecasts 2018, report that digital advertising in the luxury sector will grow by US$886 million between 2017 and 2019. In comparison, TV advertising will grow US$27 million, with cinema and radio trailing even further behind. By 2019, Zenith said, digital advertising will account for 35% of total luxury adspend. 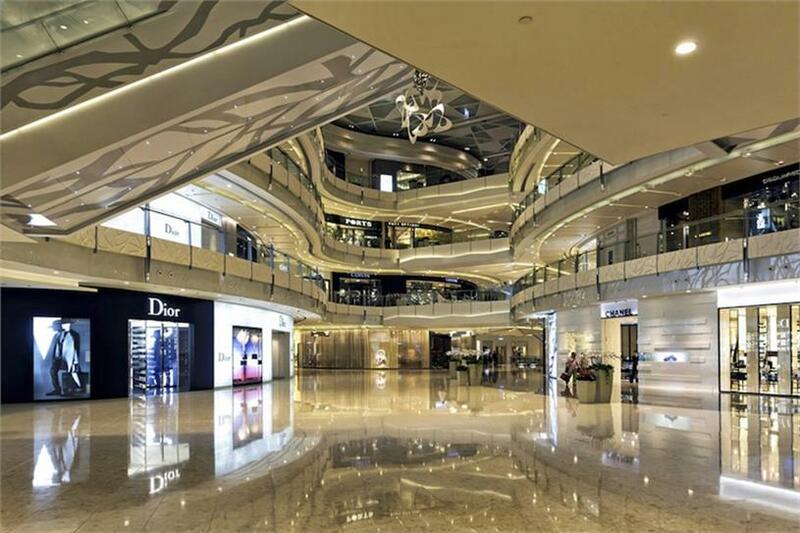 Unsurprisingly, the US and China remain the world’s largest luxury markets, with brands spending US$5.2 billion and US$2.1 billion, respectively, in 2017. 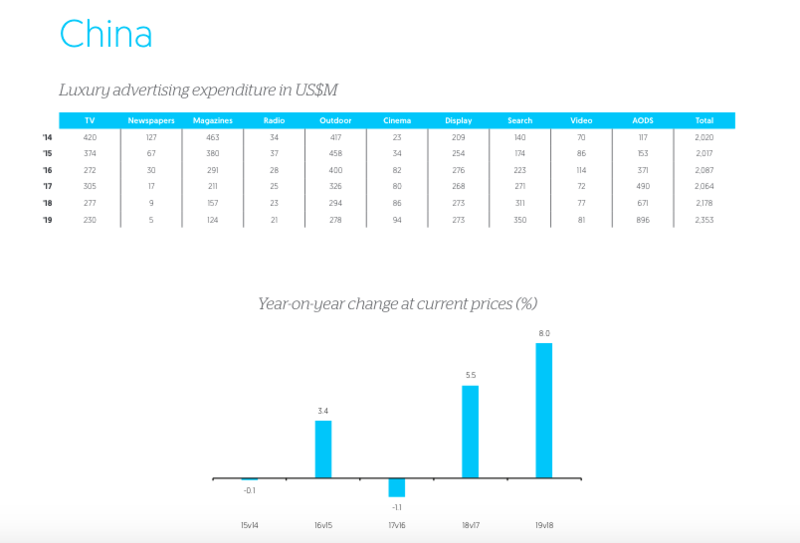 China is outstripping the rest in terms of digital advertising. It accounted for 53% of domestic luxury adspend in 2017. By 2019 that figure will be almost 70%, according to Zenith. The report analysed 23 global markets, including nine in Asia-Pacific: Australia, Hong Kong, Japan, Singapore, South Korea, China, Malaysia and Taiwan. Other APAC markets have some way to go to grow their luxury digital advertising ecosystems. Has Sir Martin Sorrell been a positive force for the ad industry?